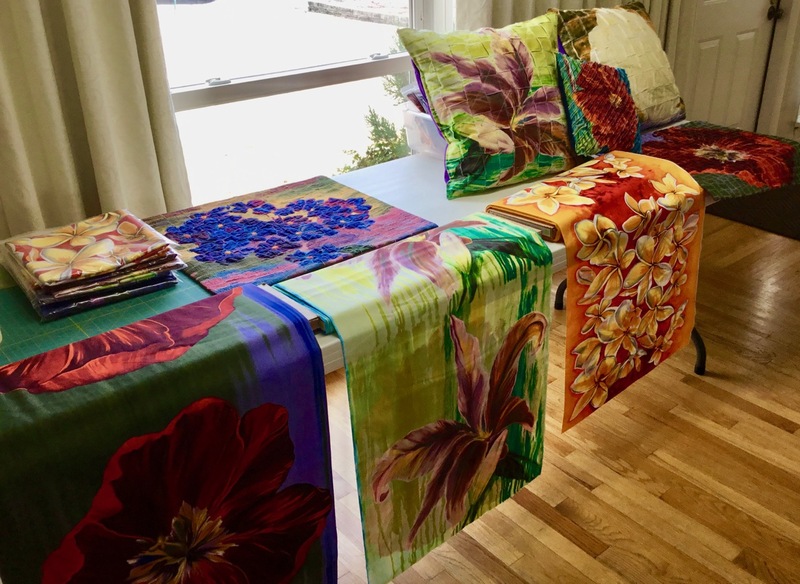 Spectacular Art Weave pieces were blooming at the Chattanooga Sewing Guild this Saturday! Art Weave workshop with the Chattanooga Sewing Guild. 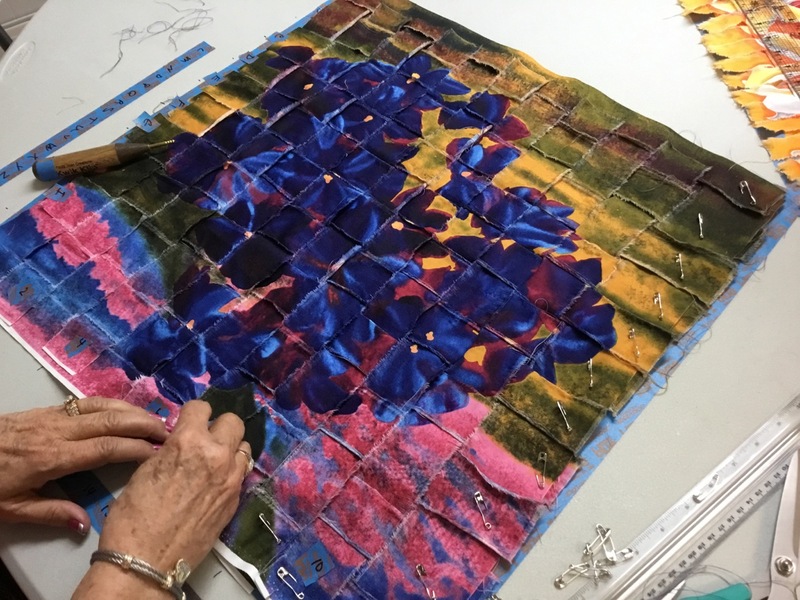 Usually, I am called to teach my Art Weave workshop for quilt shops or for quilt guilds. 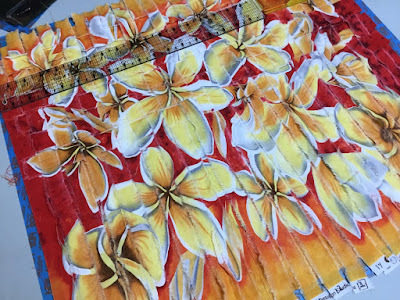 But this time, I had a multi-talented as well as multi-disciplined group of sewists [sewing + artist = sewist] from the Chattanooga Sewing Guild in class. 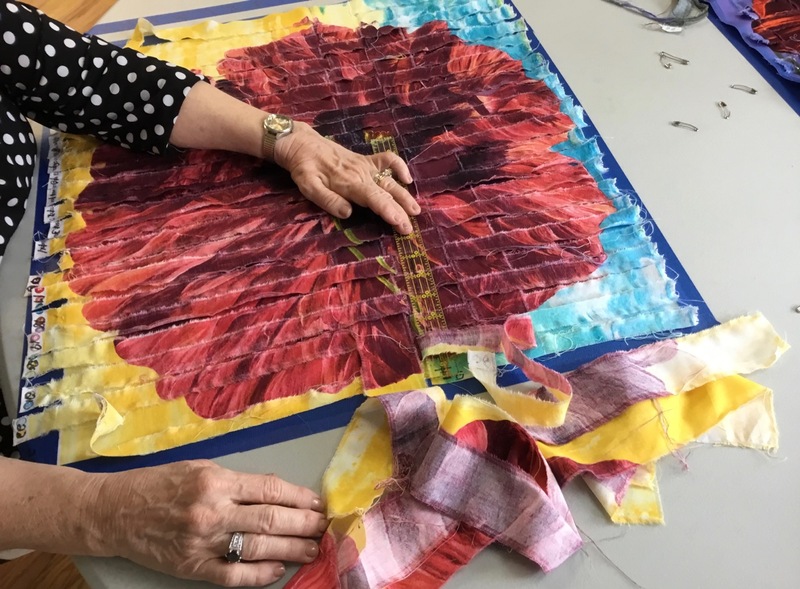 In addition to sewing garments and children's clothes, these women were painters, crafters, machine embroiderers, knitters, crocheters and were experienced in making draperies, home decor items and upholstery. Talk about a room exploding with talent! Each student put her own creative spin on the large scale fabric prints. ... and I had several examples in the class for inspiration. 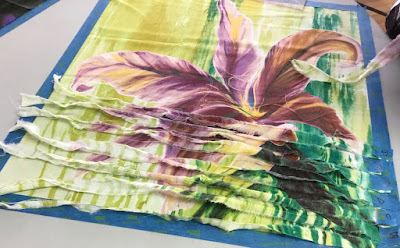 I am very curious to see how this group chooses to embellish and finish their pieces. Project examples of the Art Weave technique. Thank You to the Chattanooga Sewing Guild for inviting me to teach Art Weave! It was great spending a lovely Spring day with all of you... and reacquainting with two women with whom I've shared previous fiber art experiences (a surprise bonus for me!). 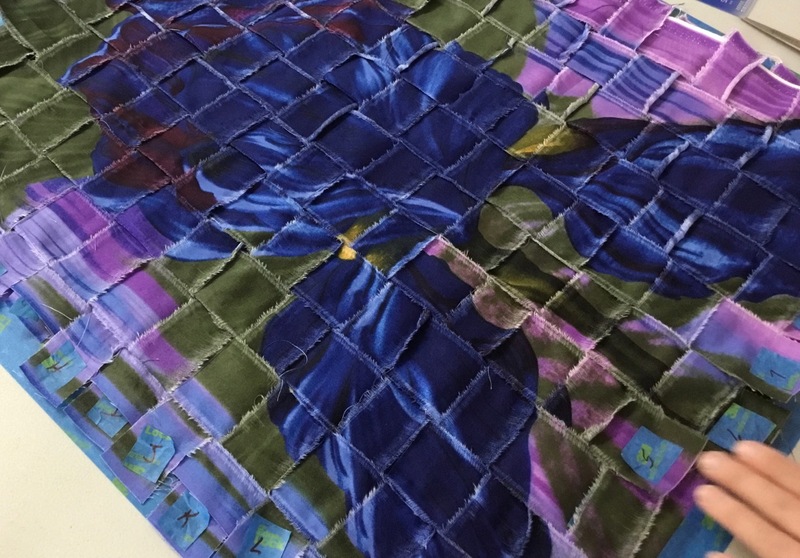 Please send photos of your finished Art Weave projects. I would love to see them!